Team 2539 is thrilled to announce that the they will be traveling to and competing in the FIRST World Championship in Detroit, April 24th - April 27th. The Krypton Cougars performed exceptionally well at their District Championship the previous weekend, ranking 17th out of sixty teams. Their current match Win-Loss-Tie record throughout the season is 33-12-3. The Team will be advancing into a competition that they have never qualified in before. The team is very proud of their hard work and accomplishments and they’d like to thank their sponsors, mentors, parents, and fans. In the FIRST Robotics Competition community, the FIRST World Championship is an important and exceptional event to compete in, and we are elated to be able to say that we will be competing there for the first time in 12 years. Approximately 400 teams will be competing to see who is the best in the World. There are two FRC Worlds Competition - one in Detroit, MI, and the other in Houston, TX. It is incredible that a Team as small as they are will be competing against 400 other major teams to be declared the best of them all. They want to demonstrate to teams that they are not a Team to be overlooked, and prove it to be true that the bigger they are, the harder they fall. Registration for the FIRST World Championship costs $5,000 in order for the entire team to attend. In addition, the World Championship, including travel time, is a 6 day, 5 night event. Travel costs include lodging, food, passenger van rental, and trailer rental for pit equipment and tools. The team works hard to obtain corporate sponsorship and does our own fundraising. The money that we have received for this year has all gone to the annual registration with FIRST, our two District qualifying events, the District Championship event, and of course to building a world class robot. The team currently needs funding for the entire cost of attending the FIRST World Championship. The Krypton Cougars grew so much this year, both through knowledge and leadership, and they aren’t finished yet. This is the furthest the Team has ever come, and they aren’t finished yet. 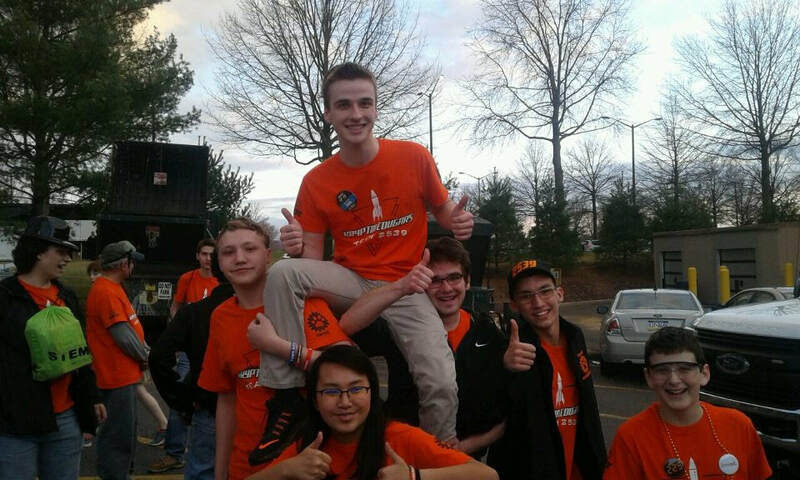 FRC Team 2539 - The Krypton Cougar’s 2019 Destination Deep Space Season is a milestone in our Team’s history.